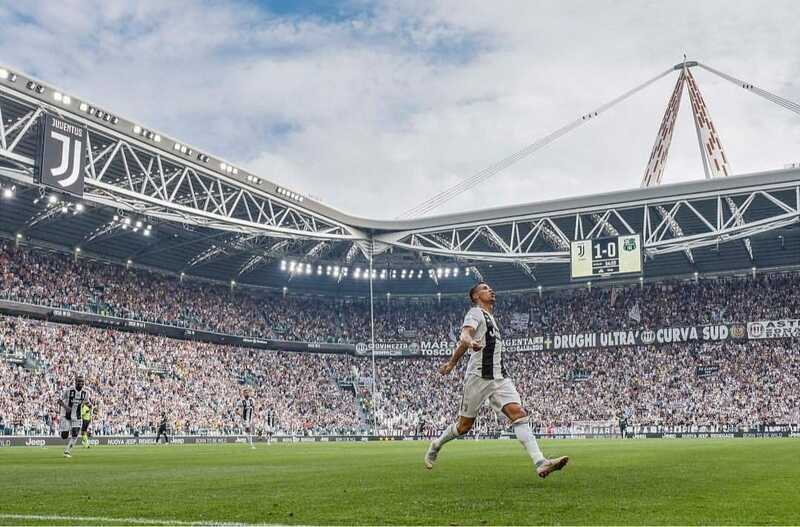 Home > Football > Ronaldo breaks through in Juventus victory. You knew it was a matter of time but Cristiano Ronaldo scored his first two goals in Serie A. After going through a mini scoring drought which for Cristiano Ronaldo is big news, an easy tip from in front of the net sent Allianz Arena into incredible jubilation. It hasn’t been for a lack of opportunities or hard work that he had not scored a goal officially for Juventus in his Serie A games but the longer this lasted the more questions would have arisen about his age and if he had possibly lost a step. The Serie A is a more defensive minded league which is also a possibility of why the scoring hasn’t come as frequent or as easy as CR7 has been accustomed to. His first goal came off a corner in the 50th minute which he tapped the ball easily into the net as there seemed to be some confusion between the defender and Sassuolo goalkeeper. The cross came in and as the ball found the defensive Sassuolo player he seemed to want to head the ball back to the keeper but it ended off going off the post where Cristiano was waiting and was finally able to get the monkey off his back. The celebration was emotional for him as you would assume the more time went on the more pressure he was feeling to show his worth to the Juve fans. In the 65th minute in which was pure Ronaldo , he used his speed to get open on a counter attack and was able to place another past the keeper with his left foot in the lower corner to get his second goal of the game and put Juventus ahead for good. An extra time goal by Sassuolo couldn’t dampen the fact that the fans have been waiting this season to see the infamous Ronaldo celebration in a Juve jersey. With the brace Cristiano Ronaldo has now reached 400 career goals, in his time with Sporting, Manchester United, Real Madrid and Juventus. Juventus is currently in first place and has yet to lose a game this season with 12 points.